The Diamond Wire can be used to cut structures of any size, shape or composition. Our DWCM’s use a continuous loop of diamond wire mounted on a series of pulleys, one or more hydraulically or electrically driven. 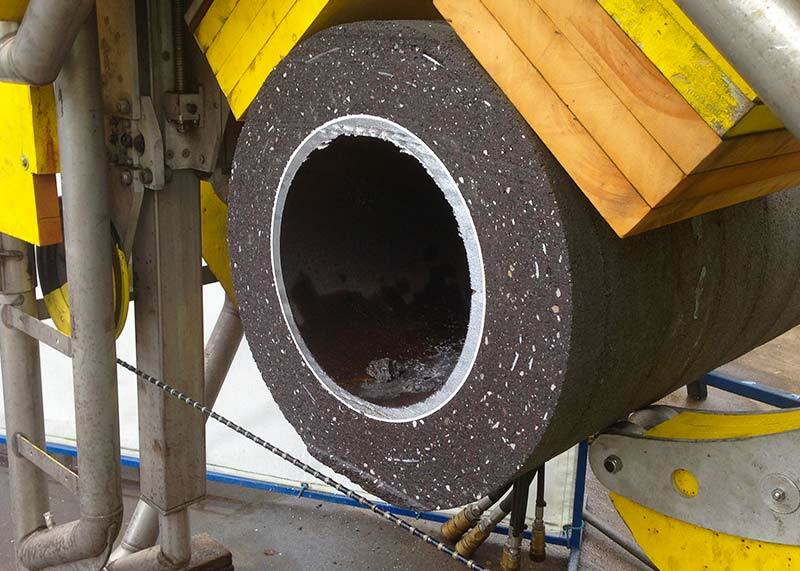 The wire performs the cutting as it meets the target material and continues to be fed through until the cut is complete. 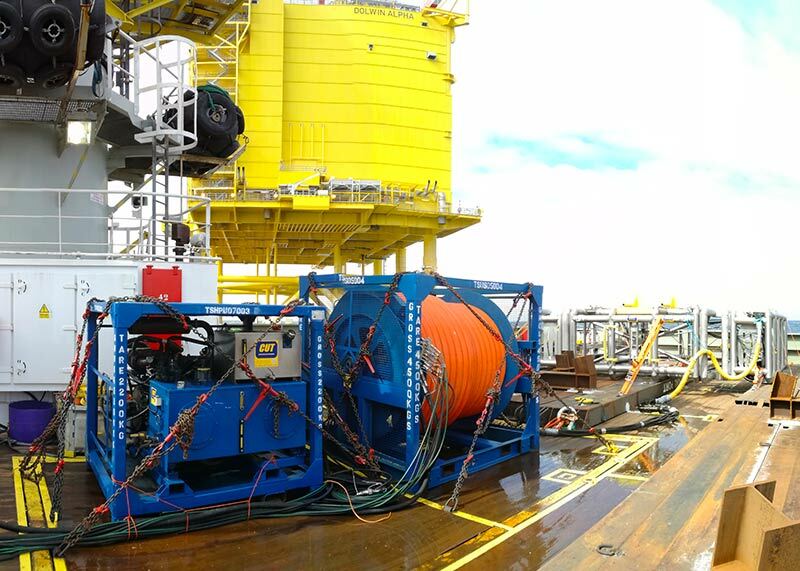 DWCM’s can be operated both by Surface Power or ROV Power Modes. Surface powered DWCMs are connected to the HPU power supply using a specially designed umbilical up to 200m long. 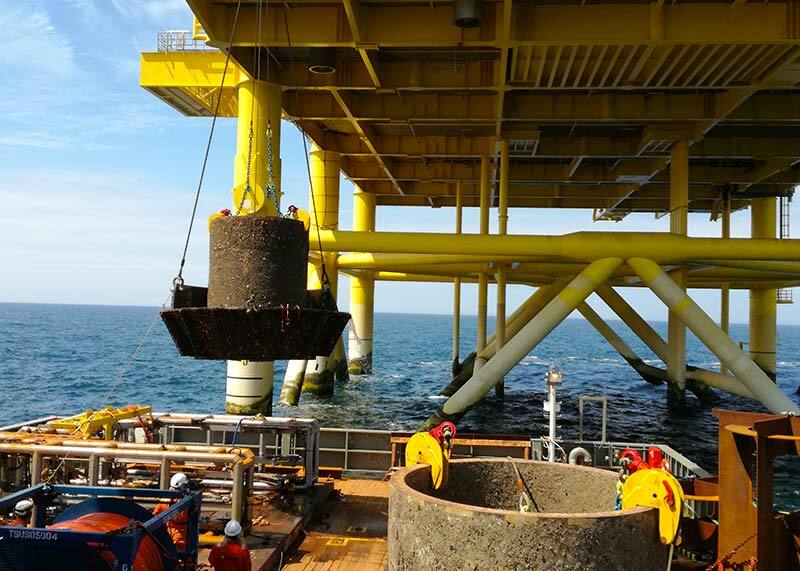 The DWCM can be crane deployed and powered from the surface a CUT supplied or Diesel or Electrical Hydraulic power unit, a control panel, spooler and umbilical with final positioning provided by client supplied drivers or ROV. 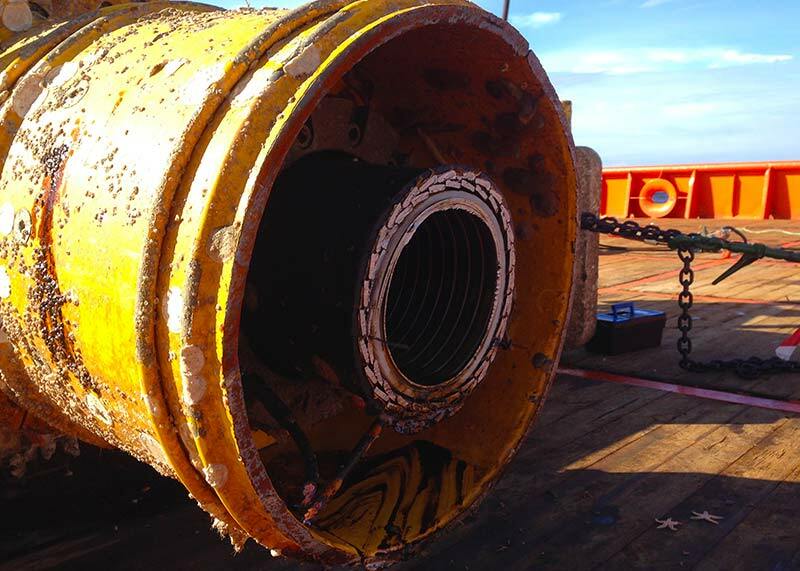 The DWCMs can be connected to the ROV Dirty Work Pack either on deck by means of a short 6m long umbilical or deployed to the seabed and connected by hot stab. 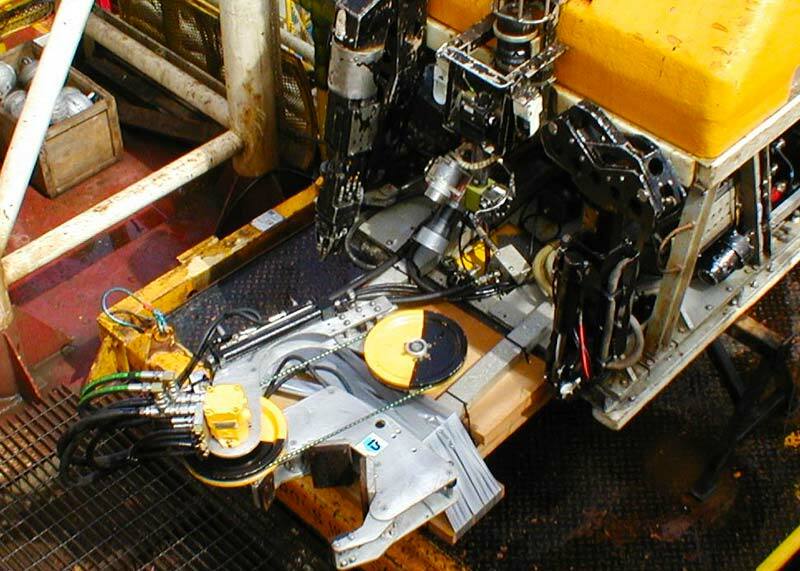 Once connected and in the water the WROV will fly the cutting machine to target and position it to allow clamping. Our engineering team can assist in the design and planning of the best cutting solution to meet the requirements of our clients, using either standard off the shelf or project specific modified DWCMs. 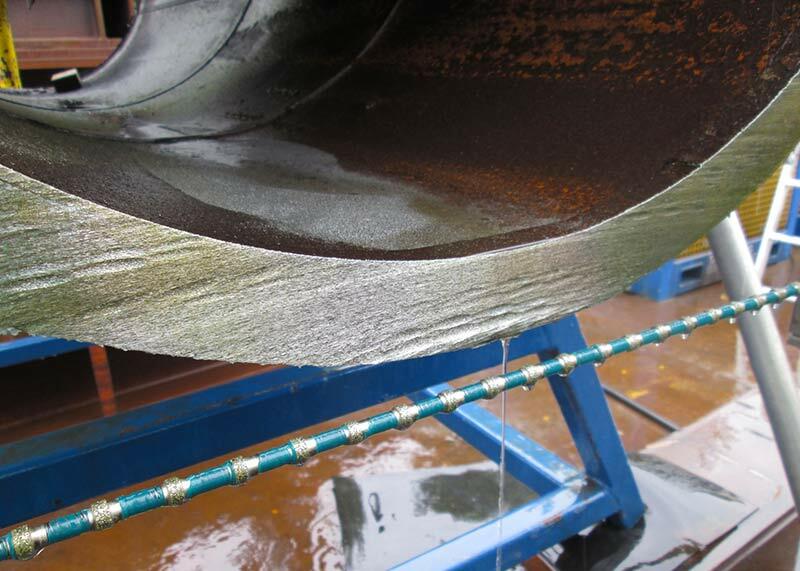 Flexible or rigid pipelines with any type of protective coating can be cut efficiently and effectively. The option of powering and controlling the DWCM, from the surface or by WROV, allows to perform cuts at any accessible water depth. The standard DWC system is ideal for cutting a variety of sizes and types of multilayers. 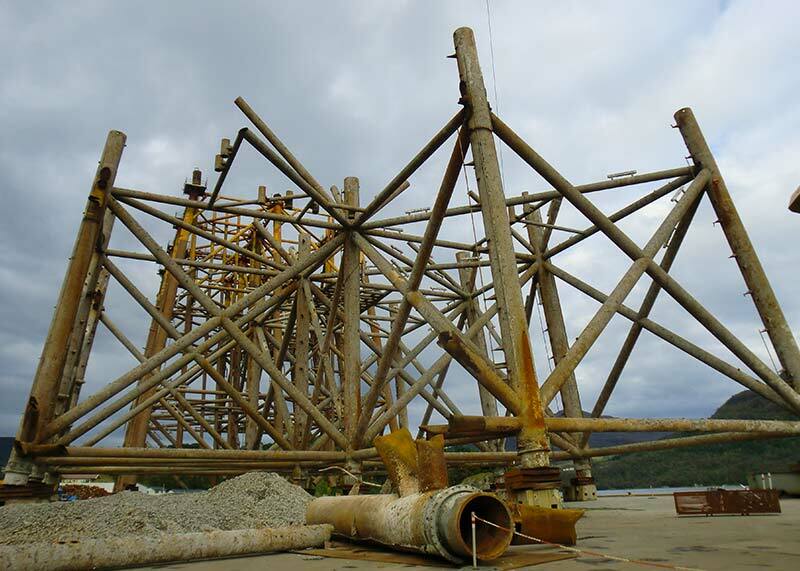 CUT Group has vast experience in cutting chains, anchor chains / mooring chains, shackles and drill-strings. 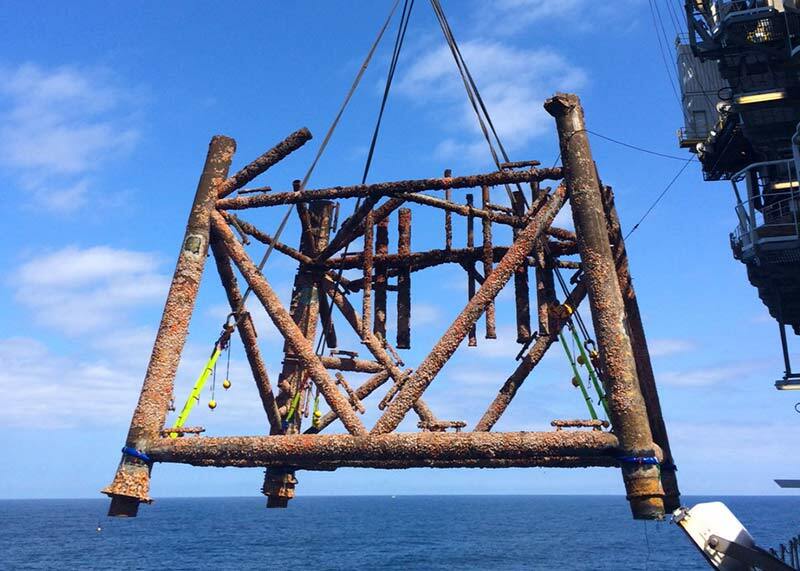 CUT Group a long history of cutting Risers, Conductors and braces of various diameter in support of decommissioning and IRM projects. 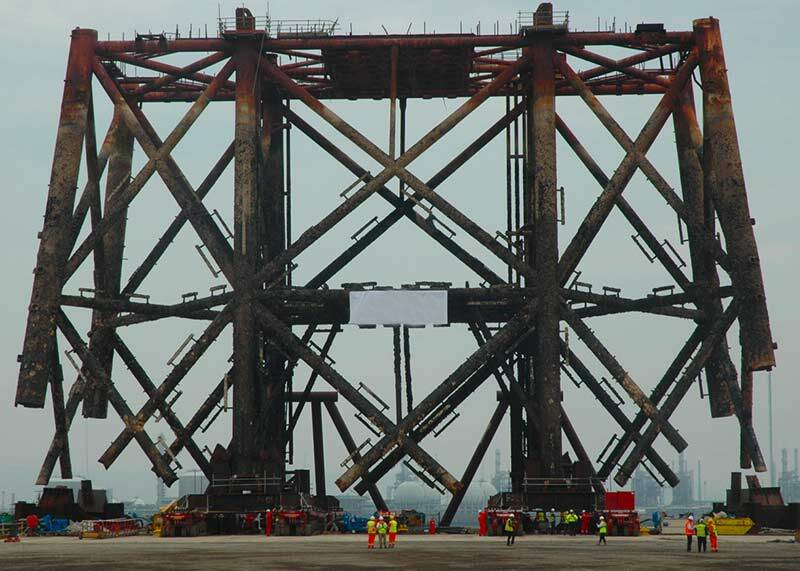 CUT has successfully completed cuts both above and below the waterline. 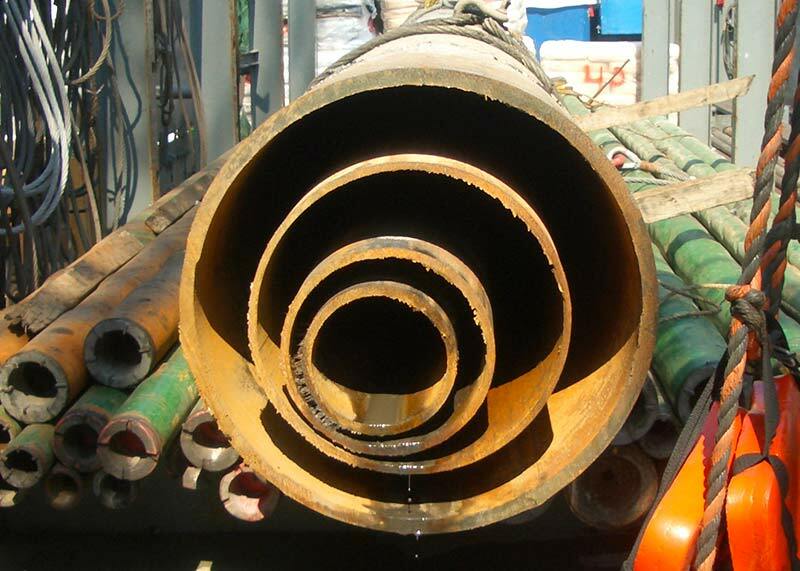 We have completed many projects where we were requested to cut grouted and un-grouted piles. Both with and without pile sleeves. Standard Diamond Wire Cutting Machines (DWCM) for tubulars up to 155” overall diameter can be mobilised at relatively short notice.